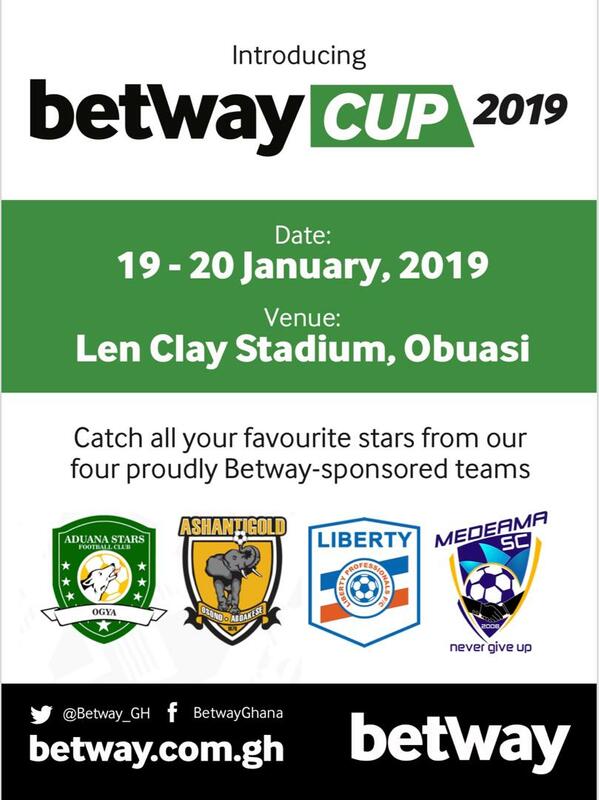 Football returns to Obuasi this weekend as four Ghana Premier League clubs battle it out in the first edition of the Betway Cup. The tournament, which takes place at the Len Clay Stadium on 19th and 20th January 2019, will feature Medeama SC, Liberty Professionals FC, Aduana Stars FC and Ashgold SC. During the announcement of Betway’s sponsorship of the four Ghana Premier League Clubs, they assured the teams of their support towards sports development. The establishment of the Betway Cup as a pre-season tournament is aimed at preparing the clubs for the upcoming season. Football fans are being promised a thrilling experience as all four clubs come into the tournament with full-strength squads to compete for the cup.